Inside is an solo installation, specially created to take over the space of the Théâtre Graslin, during Le Voyage à Nantes, in summer 2018. In his sculptural work, Daniel Firman explores questions of movement and gesture. Often incorporating entire bodies or fragments, his sculptures construct a presence and act within a space – that of the exhibition. With his penchant for hyperrealism, as well as an often burlesque and pop approach, his sculptures sometimes flirt with incongruity or a form of “gravitational malfunction.” But they always question the spectator’s perception, as well as the constant relationship between the sensorial and the tactile. 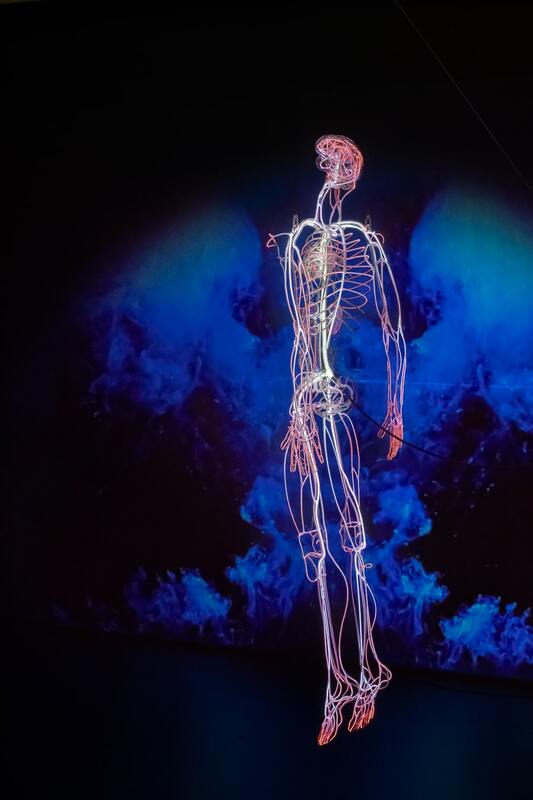 At the heart of the theatre, floating above the orchestra seats and facing the stage, a body made of blown crystal is shot through with the vibrant flow of gaseous plasma that glows and outlines the human cardiovascular system. The fluctuating intensities emitted by neon gas mimics a vital activity that could be the result of an emotion. This new neon sculpture stands across from a projected film showing a delicate composition of flux and lights, between an organic landscape meandering in a cavernous body, while the space is filled with an original musical composition using effects like sub-bass frequencies. In Daniel Firman’s work, there is no theatricality or staging but, instead, a construction of environments and sensations. 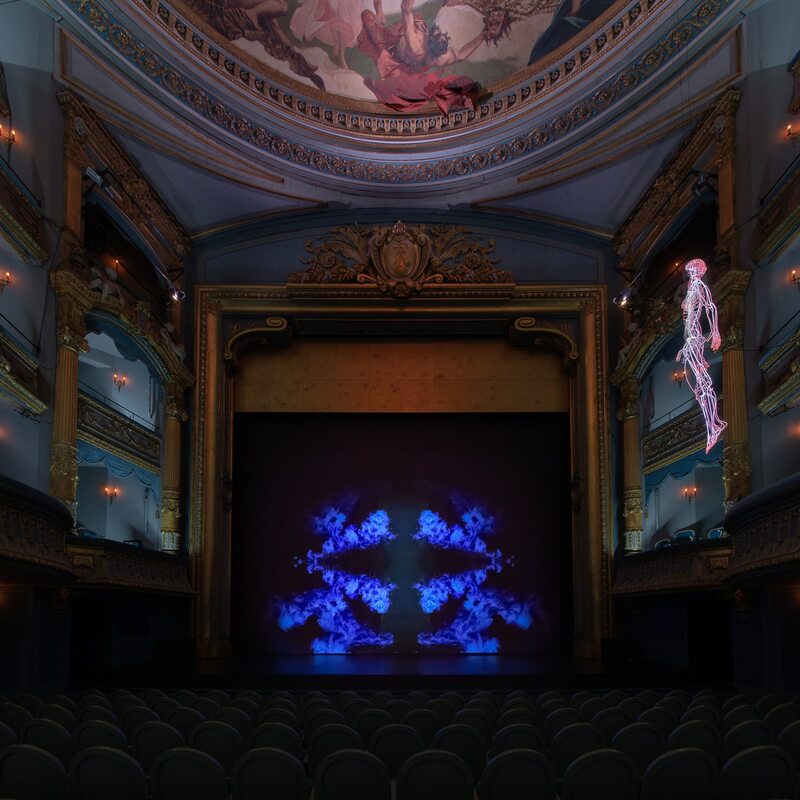 Spread over three works – a sculpture, a musical piece, and a film – Inside takes over the space inside the theatre, where sensations are tamed through emotion.